If you answered YES, then our Volunteer Usher Programmight be perfect for you! Volunteer ushers are a vital part of the CTC family. 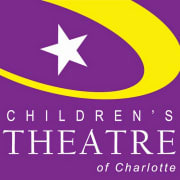 Whether seating a classroom of kindergarteners about to enjoy their first live theatre performance or helping a family of six find seats together during opening night excitement, ushers ensure that CTC patrons enjoy the very best experience possible during their time with us. Ushering is also a great community service opportunity for groups. Volunteers learn what goes into running a theatre while honing their interpersonal, communication, and leadership skills. We help keep track of volunteer hours, fill out any necessary paperwork, and help volunteers get the most out of their experience. Ushers are needed for School Performances, which take place on weekday mornings, and Public Performances, which take place on Friday evenings and Saturday and Sunday afternoons. Ushers should arrive 1 hour before show time and should expect to remain throughout the entire performance. Ushering is a 3-4 hour time commitment per performance. 3-4 hour time commitment per performance.